Last week, I shared a tutorial on how to stencil a lampshade. 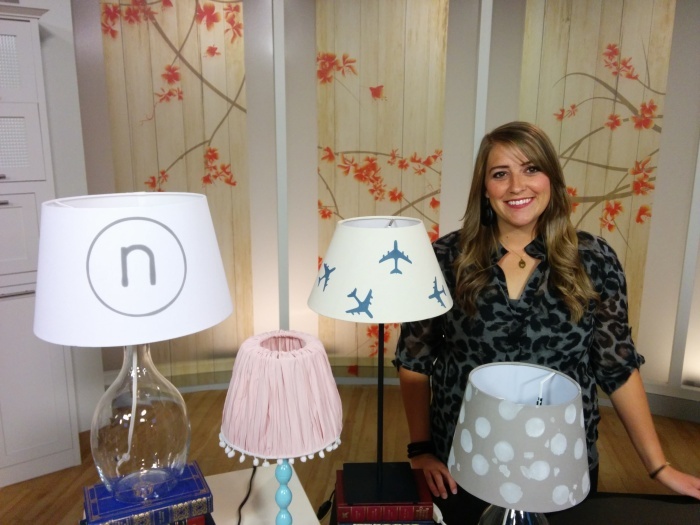 I mentioned that I would be on Studio 5 sharing the full tutorial and all of my finished lamps, which came from Ikea in Draper, Utah. This is a pretty awesome Ikea hack. So, here’s the finished video. I hope you’ll be able to try some of these ideas yourself. Oh, and get a good laugh when Brooke Walker and I couldn’t get the lamp out of my spray-paint proof garbage sack… yeah.